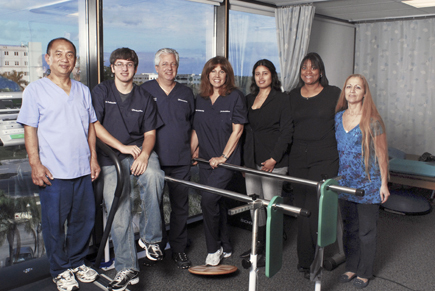 Dr Fruithandler has been pracitcing chiropractic medicine for over 30 years in Broward County . He welcomes the opportunity to be an expert witness if needed. Trust the hands of experience are . He has a fully equipped chiropractic office with massage on acupuncture and physical therapy. He is located at NW. Medical Ctr. in Margate Florida on the South side of the hospital. We work synergistically for your benefit Orthopedic surgeons, neurologist and pain management specialists. A. Many are located in our building. If you have been injured we have all of the natural means to help become pain free and back to normalcy . If litigation occurs and you have an attorney, Dr. Fruithander enjoys going to court on his patients behalf as an expert witness. We will work with your attorney and bill your insurance company directly. If you do not have insurance but do have an attorney, we will accept a letter of protection and wait for payment until your case is resolved. If you have men injured in an automobile accident, and feel you may be suffering from whiplash type injuries please call us immediately for help 954 979 2333 or 954 C U 4 pain. You get your auto repair, more important is to get your injured body repaired first. We can help you. Transportation available upon request. 33060,33073 sports tickets autoacciedentcenter. We are 411 PAIN for your auto injuries or auto repair.